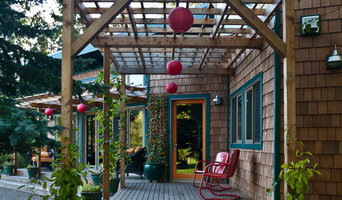 Prentiss Balance Wickline Architects is based in Seattle, Washington. We work locally & nationally on new & remodeled residential projects, providing full architectural, interior, & landscape design. 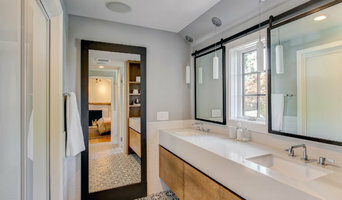 6X Best of Houzz Winner! At McClellan Architects, our work incorporates timeless proportion and scale, meticulous detailing, and simple material palettes for a variety of projects. At Bromik, we believe that good relationships are the keystone of your project. Whether we're talking about a dream house or a small kitchen renovation, the relationship always comes first. Studio Zerbey is a Seattle-based architecture and design firm specializing in remodels, new residences and small commercial buildings. Based on your needs, we also offer consultation services. Our residential practice consists of a wonderful variety of opportunities and challenges from our clients, including new construction, major remodels, and small explorations of beauty. We have the good fortune of working with the best craftspeople in the Northwest, and enjoy a team approach in all our projects. Scott Becker has practiced architecture with a residential focus for over 20 years. 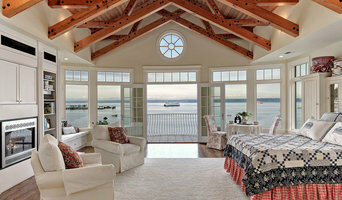 His new and remodeled homes, cottages, vacation cabins, and residential interiors are found throughout the Puget Sound Region, and vary in character and approach depending on the unique demands of the site, and the personal desires of the client. Feel free to reach out to us, we would love to hear from you! 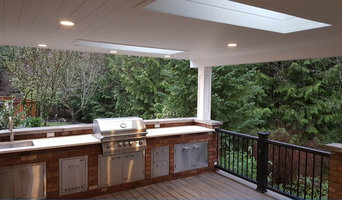 Here at Architectural Innovations Professional Services, we are proud of our reputation and past performance in residential design and remodeling work. We have 30+ years of professional experience. Redding Architects is a small firm specializing in listening well and creating architecture that reflects the lifestyle of our clients. Our designs are practical, not pretentious. How do I find the best Maltby architect for my home design project? It is best to hire a home architect who will be involved in all phases of the design process, from the initial concept to the completed construction. The architect is often the first person you will hire for your project. If necessary, they might also help you select and hire Washington subcontractors, which can include the builders, engineers and landscaper. Interior architects are also involved in negotiating contracts for all involved participants. It is for these reasons that it is extremely important for you to have a good relationship with the Maltby residential architect you hire. He or she can be the tie-breaking vote between you and the general contractor and can be your biggest advocate during the construction process. Different architecture firms in Maltby, WA provide different services, so the scope of the work can span from pre-design environmental impact studies to selecting furniture and finishes, depending on what your specific needs are. It is very important to hire the right professional for the job. Remember that the most well-known or established designer might not provide the best architectural services for your needs. It all comes down to the individual project. Research and ask people whose work you like for recommendations. It's important to have somewhat of an idea of the style of house architecture that you prefer, as well as the amount you would like to spend. Residential architects in Maltby, WA are natural problem solvers. They will assess the entire situation and help you to solve your problems too. Don't settle for a single company too early. Call and interview a few. Make sure that you feel like your personalities will mesh well and that you like their professional perspective. Find a home architect in Maltby, WA on Houzz. Narrow your search in the Professionals section of the website to Maltby architects. You may also look through photos of Washington projects to find interior architects and building designers who have worked on a project similar to yours.